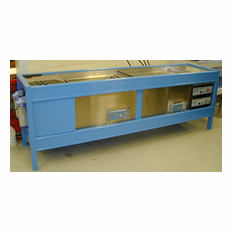 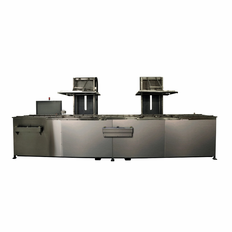 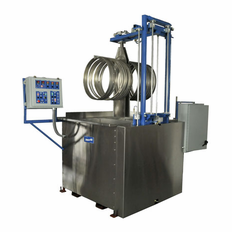 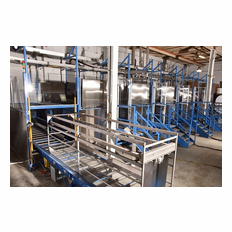 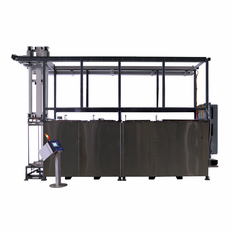 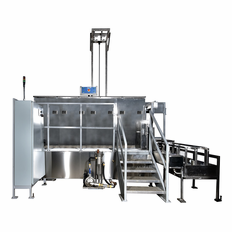 Three Tank System; Clean Rinse Dry With 50 lbs Load Capacity - Load and Unload Conveyor. 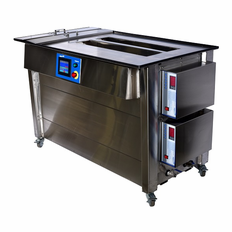 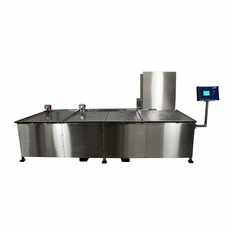 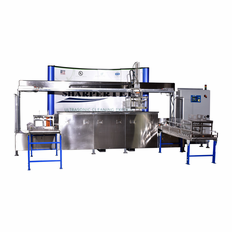 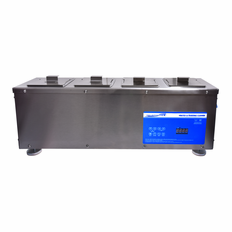 3 Heated Ultrasonic Cleaning Tanks and 1 Drip Tank by Sharpertek USA. 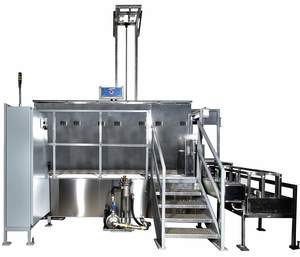 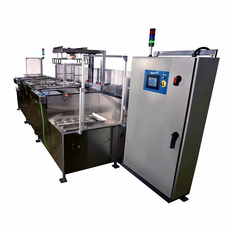 Multi Tank with Gantry System, Automated.